A small district town, Umphang is situated in one of Thailand's most difficult to access areas. 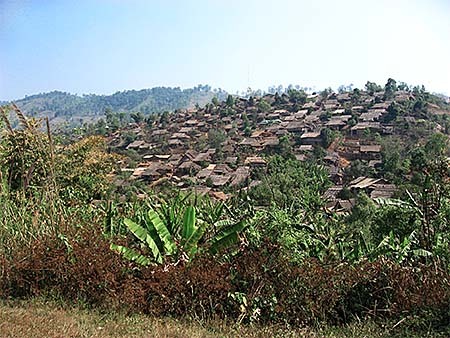 Surrounded by mountainous and forested nature along the Burmese border, in and around Umphang district (amphoe) are several protected areas established. The only road which leads to Umphang is Highway 1090 from Mae Sot, which curves for 164km through the forested mountains. There are songtheaws who go to and fro once a day. It's worth to stand at the rear end of the songtheaw to have a free view over the picturesque landscapes. The trip takes several hours, roughly about four but can easily become five, and there is a stopover at a parking where a Burmese refugee village lies. There are signs who number the curves to 1,219, and the many serpentines make many people on the vehicles motion-sick, a vulnerability many Southeast Asians suffer. The Thanon Thongchai Mountain Range is separating Umphang from the eastern part of Tak Province, of which Umphang is a district. The biggest river is Nam Klong, who originates here. 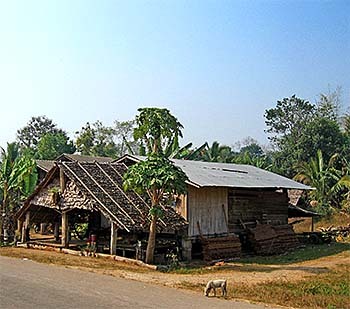 Decades ago there was an initiative to build a road connection between Kamphaeng Phet through the mountains to Umphang, but it has been realized only partially. The last 28km remain unfinished to preserve Umphang Wildlife Sanctuary. Another planned connection from Sangkhlaburi to Umphang was never even started. 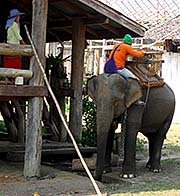 That keeps the region in a remote state where development goes on slower than in most other parts of Thailand. Additionally to the single road connection, the small, rural place has a little airport. However, there is also a lonesome roadlink to the Burmese border. The area was populated by Karen people already, before the Thai arrived. The Karen make still the greatest ethnic in the region, followed by other hill tribes. 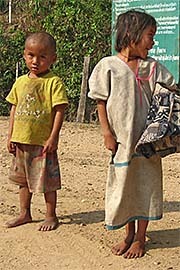 Many of the tribal villages around are Karen, but there are also others. From the 1960s to the 1980s, Umphang was among the strongholds of Communist resistance, as great parts of the mountainous north of Thailand were. Khao Kachoela (also: Khao Khiao, green mountain) is with a height of 2,152m one of the highest peaks in Thailand. Notably, there is Thailand's biggest waterfall in Umphang district. It's not a series of rapids, as most so called 'waterfalls' in Thailand turn out, but really free falling water over a length of 200m. Actually it's a number of waterfalls with a total width of 400m, who fall into Nam Klong (river). So far I was informed, visiting the waterfall was only possible with a commercialized tour operator, and I was reluctant to do that, although I see the attraction of the place. There are more waterfalls in the mountains, and to reach them requires longer hikes, often over days.